← Superior Scaffold Sidewalk Shed: The key to commerce. 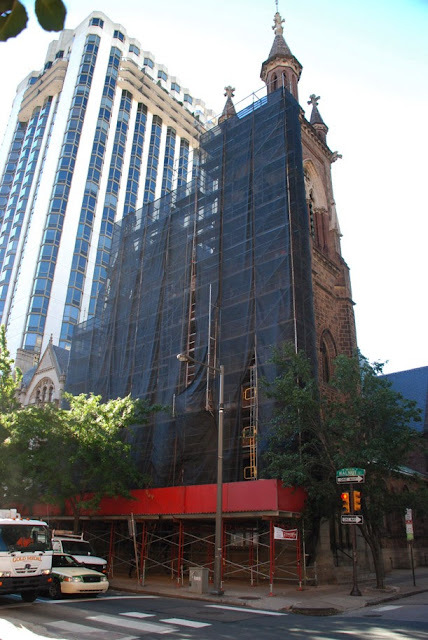 Superior Scaffold is proud to be working on the First Presbyterian Church in downtown Philadelphia. We are providing scaffolding support for a complete facade and masonry restoration on this church constructed after the civil war. Superior was called in because of our experience working with historic buildings, especially ones that might have delicate or sensitive objects. This particular church was no different – they have one of the most extensive stainded glass window collections on the east coast. See it here. The First Presbyterian Church also has some beautiful artifacts and spires at the top of their steeples that required a special touch. 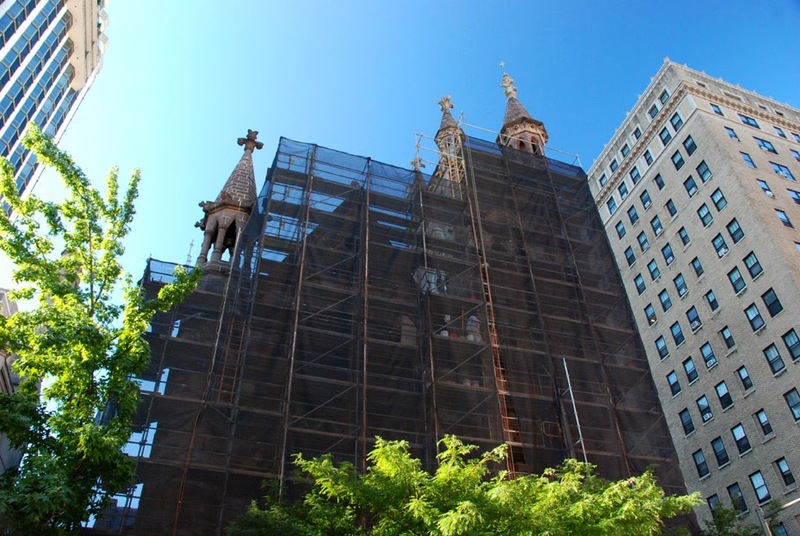 We also provided debris netting around the scaffolding for added protection as crews performed their restoration. And we installed a canopy, sidewalk shed, for pedestrian protection and so the church could remain open while the restoration work went on. This wonderful church is getting back to it’s full glory. 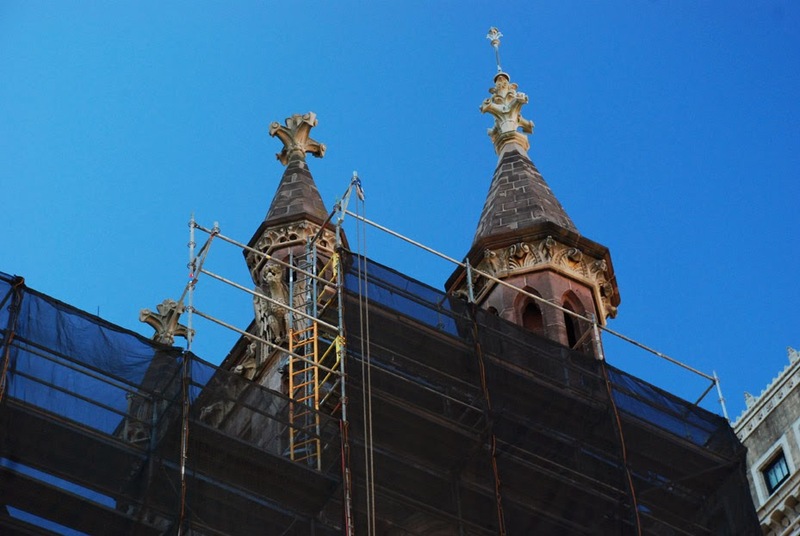 Superior Scaffold is proud to have been a vital part of the restoration process. This church has an incredible history. The First Presbyterian Church in Philadelphia was organized in 1698, just 16 years after the arrival of William Penn. For its first hundred years, the church occupied a site on High (now Market) Street, and both the first American presbytery and the first synod met in the church’s meetinghouse. 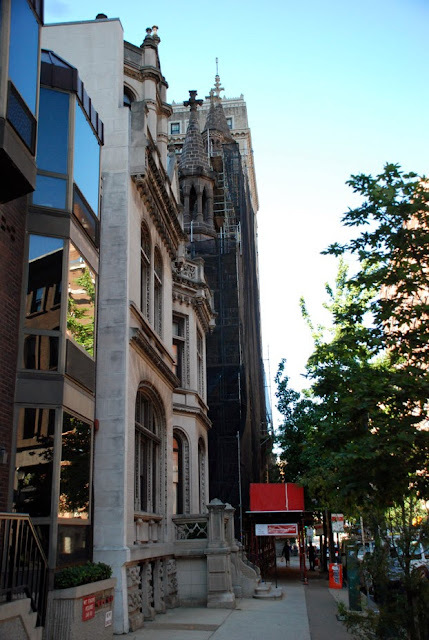 In the 1820s the congregation moved to the south side of Washington Square where it remained until the late 1920s, when it moved to 15th and Locust Streets. After the Civil War, the Second Presbyterian Church constructed a new building at 21st and Walnut Streets. (201 South 21st Street (at Walnut) • Philadelphia, PA 19103 • 215.567.0532) In 1949 the two congregations reunited to form one church, retaining the name First Presbyterian Church in Philadelphia though occupying the building of the Second Presbyterian Church. 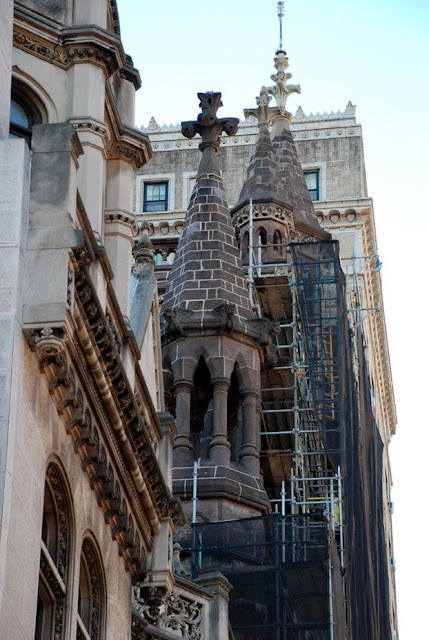 If you have an historic building that needs scaffolding support – call the best – Superior Scaffold (215) 743-2200. 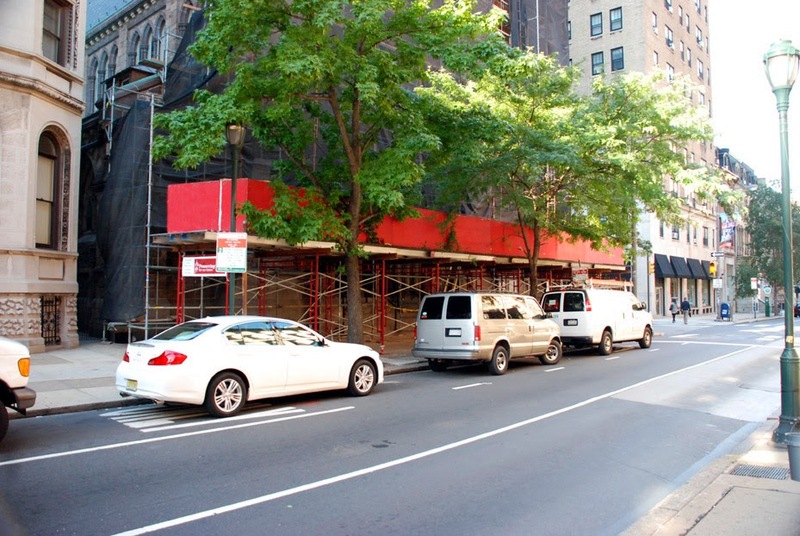 Posted on January 21, 2014, in News & Updates, Rentals, System and tagged 215 743-2200, church, construction, DE, facade, inspection, masonry, MD, netting, PA, philadelphia, Rental, rentals, scaffold, scaffolding, superior scaffold. Bookmark the permalink. Leave a comment.